Public housing residents in Melbourne, Australia, have won a big victory against the Liberal State Government. Chris Dite, an activist of the Socialist Party (CWI Australia) and a candidate in last year’s elections to Yarra City Council in Melbourne, is visiting Taiwan in May to speak at political meetings. 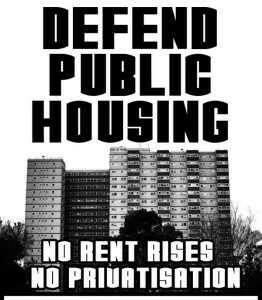 In this article Chris reports on a highly successful anti-privatisation campaign on Yarra public housing estates in which the Socialist Party played a leading role. Since this campaign, bureaucrats from the Liberal Party-led state (province) government of Victoria outlawed political meetings on public housing estates and even banned door knocking by political parties or campaign groups. 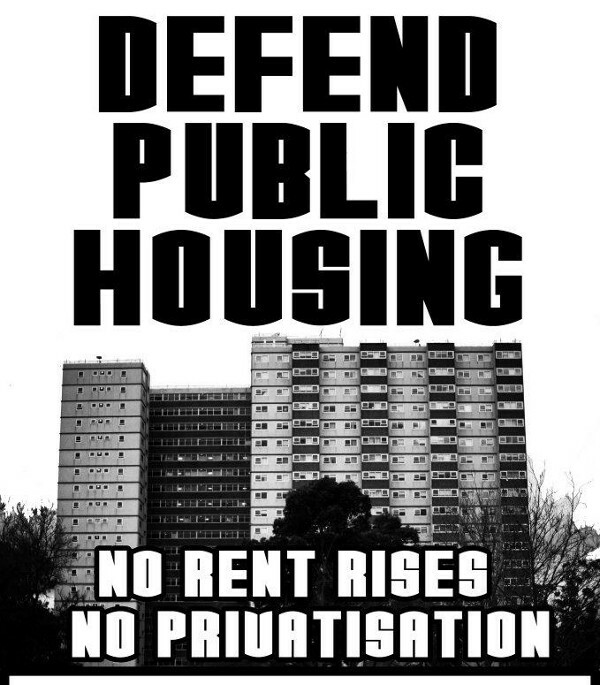 The CWI/Socialist Party is fighting this anti-democratic ban by organising public meetings in defiance, explaining the ban is an attempt to prevent housing tenants organising themselves to resist privatisation and other attacks on their rights. Having waged and won a campaign against the privatisation of open space (publically owned parks and recreational sites) on their estates, residents in inner-city suburbs Fitzroy and Richmond are now spreading the campaign to other parts of the city. The victory, a result of an alliance of residents’ organisations, the Socialist Party (CWI) and powerful building industry unions, is a validation of both collective action and the socialist approach to winning campaigns. The Liberal Party State Government in Victoria had received a grant from the Federal Labour Party government to build private apartments on the valuable open space on inner city public housing estates. The government had for months deliberately withheld its plans from residents and the wider community, in fear of a backlash. The State Government informed the local council – which has one elected Socialist Party councillor, Stephen Jolly – of their plans late last year. They then put a gag order on the council, forbidding them to talk to anyone. The media got hold of the story, and Victorians began to see more clearly what the government had planned for the poorest and most vulnerable people in the state. If implemented their plan would mean that what are now 100% public housing estates would now only be a maximum of 50% public housing. This translates into at least 800 new private units on the Fitzroy estate and at least 900 at North Richmond. One-third of the children in the City of Yarra live on these two public housing estates, which make up only 1% of the land! The State Government’s plans would see all the public playgrounds and parks sold off and expensive private apartment buildings built in their place. Children and families would have nowhere to go. The government argued that the plan would “de-ghettoise” the estates. The last State Government implemented a very similar project in a different municipality. On that estate, the public and private apartment buildings are strictly separate. Despite the rhetoric of inclusion, developers understand that the poor bring down property values. Two of the three inner city public housing estates which were at risk have a history of political activity and organisation. The Socialist Party has worked for many years in these communities. The Socialist Party, through mass meetings and rallies, steeled the residents for months in preparation for the State Government’s insidious plans. Once these plans became clear, the residents and the Socialist Party stepped up the struggle. Mass meetings were held on the two politically organised housing estates. A range of speakers representing many different communities threw their support behind the campaign to defend public housing. At one of these meetings an 80-year old Chinese resident, Mrs Jhu, argued that there should be justice for all, not just the rich. The government, she argued, was putting the interests of rich individuals before the interests of the whole community. These mass meetings voted unanimously to create a committee to direct the campaign to save public housing land. Young and old residents from a range of different backgrounds signed up to this committee. The committee voted to hold a mass rally to oppose the State Government’s plans and also to send a delegation to the building industry unions to appeal for their support. The committee argued that these construction unions – which in Victoria are unusually powerful – should refuse to build private apartment buildings on public housing land. Instead they should demand that more public housing be built in Victoria. This would create jobs and also meet a pressing need. There are almost 40,000 people on the public housing waiting list in Victoria alone! The State Government had tried to destabilise the campaign many times. They scheduled rival meetings every time a campaign meeting was called. They banned the Socialist Party from various meeting rooms on health and safety grounds, but then scheduled their own meetings for the same time in the same rooms. Security staff on the estate harassed resident activists, confiscating posters and flyers and intimidating residents to not get involved with the campaign. Once the delegation made their appeal to the building industry unions and these powerful but politically somewhat isolated unions threw their support behind the campaign, the government, weakened by internal strife, suddenly retreated! The government announced that the Socialist Party were simply troublemakers and had scared residents so much that the plans would be difficult to implement. The reality is that the combination of militant construction unions and politically organised public housing residents would be very difficult for a beleaguered government to take on. Tellingly, the government only backed down on its plans for the politically organised public housing estates. The other estate, in the inner Melbourne suburb of Prahran, is still facing brutal privatisation. The rally went ahead despite the government’s backdown. Residents and supporters celebrated their victory but argued that the campaign push ahead and demand the government expand and improve public housing rather than sell it off. Despite the government’s backdown, they still intimidated residents during the rally by having security guards follow them to their apartments, confiscate leaflets and bully people. Socialist Party Councillor Stephen Jolly argued that the campaign now needed to not just be reactive but to go on the offensive. Campaign committee member Mohammed Mohammed, 32, argued that while the campaign had forced the government back, now was the time to force them back even further. This important victory against the State Government, which cost developers more than half a billion dollars and helped safeguard the futures of thousands of people, was a victory for people power and a validation of the socialist approach to campaigns. There has not been a victory like it for a long time in Australia. The State Government still wants to implement its plans. While it can’t do so immediately, it is making preparations for the future. It has banned political meetings and parties from the housing estates. It has banned political material being delivered to residents. The campaign, given confidence by its victory, is planning to expand into other areas of Melbourne. We will use the successful example of grassroots community organising and labour movement power to make the case to people everywhere that we need to fight against privatisation and greed and for jobs, homes and services for all.